A new train station is already in the plans for Colchester. 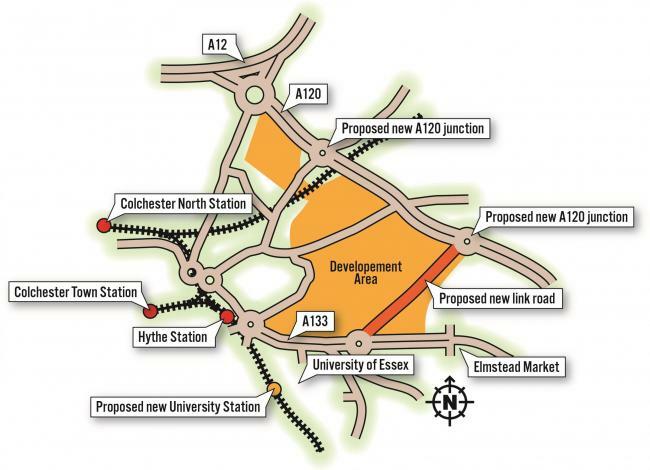 The train station could be built as part of proposals a new 2,500-home town to the east of Colchester. The plan is is set to go out to publick consultation also show a new junction on the A120. There are also talks about a link road connecting the A120 and the A133. The train station will be at Essex University. This will be a great as it links to campus and the new community to the town centre, Clacton, London and the Hythe. It makes commuting a whole lot easier. The plans were unveiled after public consultation into so-called “garden communities” began with residents. The councilor responsible for strategy at Colchester Council, Paul Smith said and we quote: “We have to remember they are just proposals at the moment, which means some may or may not come to fruition. “At this stage we are looking at all the options. Paul is also the council leader. Colchester Council, Tendring Council, Braintree Council and Essex County Council are working together on the plans for the three new “garden communities”.